Located in the heart of The Hague, the Koninklijke Schouwburg or Royal Theatre is one of the Netherlands' leading theatres, with the Dutch National Theatre as permanent artists in residence. This is a very modern theatre in a classic house. The Koninklijke Schouwburg was originally built as a palace. Prince Karel Christiaan van Nassau-Weilburg and his wife Princess Carolina van Orange-Nassau had it designed in 1776 by architect Pieter de Swart. De Swart designed a three-storey building in Louis XVI style, formed around a strongly curved semicircular cour d'honneur. The building was never completed due to the French occupation and there were even plans to demolish it. In the end this did not occur, as a group of prominent Hague citizens were allowed to remodel the palace into a theatre in 1802. In those days, many plays were performed in The Hague despite the fact that there was still no permanent theatre location. 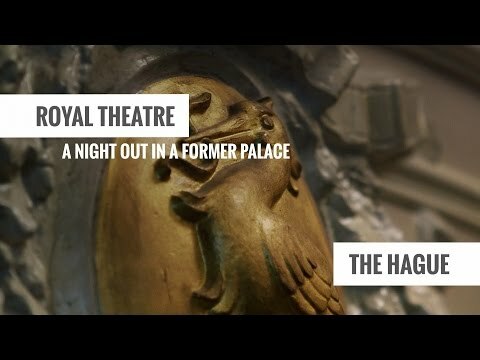 The 'New Hague Theatre' opened its doors in 1804. King Willem II owned the theatre from 1841 to 1853, and it was under his direction that the French opera and Dutch theatre flourished. In addition to the National Theatre Company, other leading theatre companies from the Netherlands, Flanders and - more frequently - countries such as England, France, Germany and even Russia, perform in the grand auditorium of the Koninklijke Schouwburg The theatre programme is complemented by music, from opera to theatre concerts, with performances by great cabaretiers and family shows. The attic theatre of the Koninklijke Schouwburg, Het Paradijs, features Hague, Dutch and international theatre makers of the future. The National Theatre Company (Nationale Toneel) is one of the largest theatre companies in the Netherlands. The range of plays varies from world repertoire classics to premières of contemporary pieces. The company covers contemporary topics, but also deals with timeless themes and the greatest stories in history. The National Theatre Company performs in The Hague, both in the Koninklijke Schouwburg, in Theater aan het Spui and in its own National Theatre Building behind the Koninklijke Schouwburg.